Much has been written about the dearth of books written by and about Latinos, especially when compared with the rate of our population growth. We know that there is a demand for these books, but publishers don’t seem to be able (or willing, depending on who you ask) to fulfill that demand. However, just as no two authors are the same, publishers’ efforts in this area vary widely, and some are making very strong efforts to help the number of published authors of color grow. Indie Lee & Low is one such publisher, and its “New Voices Award,” now in its 14th year, is a good example of how organizations can become actively involved in promoting and producing diverse literature. The New Voices Award is given annually to a children’s picture book manuscript by a writer of color, and carries a cash prize of $1,000 that comes with a publication contract. Because its winners are published, the award can function as a career launcher for the authors who receive it. An Honor Award winner is also chosen and awarded a cash prize of $500. The deadline for submissions is September 30, so you need to act fast. 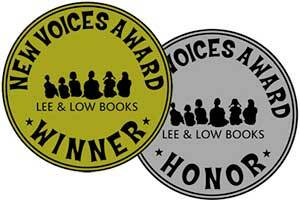 For more information and full submissions guidelines, visit Lee & Low’s New Voices Award page. And while there, check out the publisher’s wonderful selection of Latino-interest titles, many of which have been reviewed by Mamiverse! The second opportunity I want to share is one that is very close to my heart. Throughout the years, and in my capacities as editor and now, literary agent, I have encountered some difficulties when searching for Latino writers to publish. 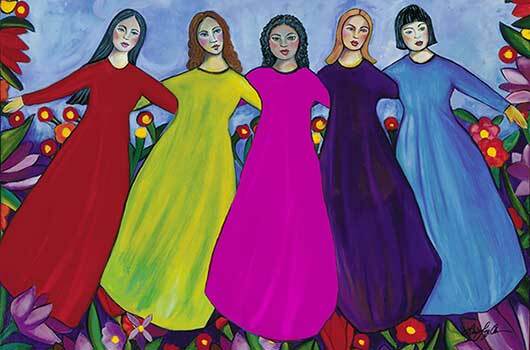 I have attended and participated in various Latino-themed events all over the country, granted interviews, and conducted my own personal searches to find talent, but I have to admit that—although I have been lucky enough to find some wonderfully talented Latino writers over the course of my career—there were many times when my searches came up empty. And so for a number of years, I wondered what I could do to take an even more active role in helping up-and-coming Latino writers get published. I eventually decided that the best way to do that would be to facilitate connections between Latino writers and the agents, editors and other industry experts who have the power to help turn their efforts into writing careers, in part because I often heard similar complaints from those folks—that Latino writers, for some reason, were hard to come by. After attending many writers’ conferences all over the country—where with only a very few exceptions I was hard-pressed to find a single Latino writer in the room—I decided that a writers’ conference that focuses on Latino writing and takes place where publishing lives and breathes—New York City—was the answer. I was not the only one to come to this rather obvious conclusion, and so last year, I did what we Latinas do best: I connected with some of the fiercest and most committed women I know, who share my desire to help Latinos get published, such as Nora Comstock, CEO and founder of Latina networking organization Las Comadres para Las Americas, and editorial consultant extraordinaire Marcela Landres, and with the help of the Association of American Publishers and Medgar Evers College, together we launched the Comadres & Compadres Latino Writers Conference, which I am excited to report is celebrating its second year in 2013. Thank you for your feedback Adriana! I am glad to know that you found this helpful. You can certainly expect more information of this type in the future!